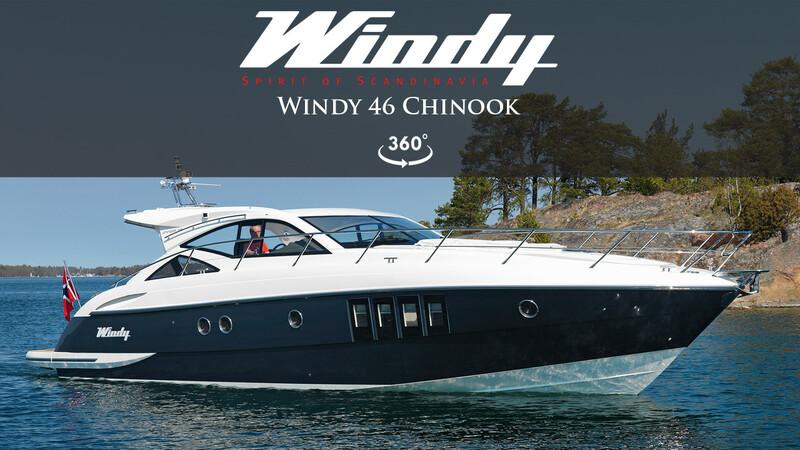 The Windy 46 Chinook is a true offshore performance yacht, designed for those who dream of venturing further afield in luxury and comfort. Her technically advanced design offers some of the best economy figures in class, combined with 40kt top speed performance. 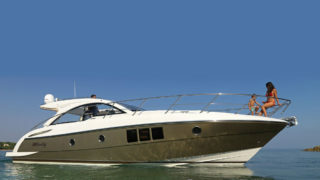 The 46 is well suited to hot or colder climates, with a sleek hard top roof and extended sun roof as standard. Her large social cockpit has plenty of space to relax or entertain, whilst feeling safe and secure. A new sun pad configuration has been announced for 2018. Below decks, the 46’s designer interior offers three spacious cabins and two shower compartments, with plenty of natural light and panoramic windows in the saloon and amidships cabins. She is available with a range of powerful engine options from Volvo Penta, including the Volvo IPS system with Joystick docking and the Dynamic positioning system. A new sun pad configuration has been announced for 2018, along with the option of a hydraulic bathing platform for tender launch and retractable hydraulic passarelle.